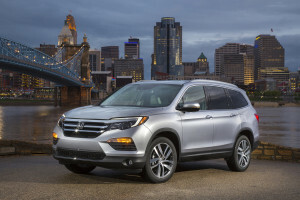 The next-generation 2016 Honda Pilot SUV officially announced Wednesday should be a whole new ballgame for repairers, with huge swaths of the popular SUV’s body made out of ultra-high-strength and advanced-high-strength steels for a nearly 300-pound-lighter curb weight. The Pilot’s body only contains 34.5 percent mild steel of 270 megapascals, and more than half of the full-size SUV is advanced-high-strength (590 MPa) or tougher steel around twice to five times as strong. 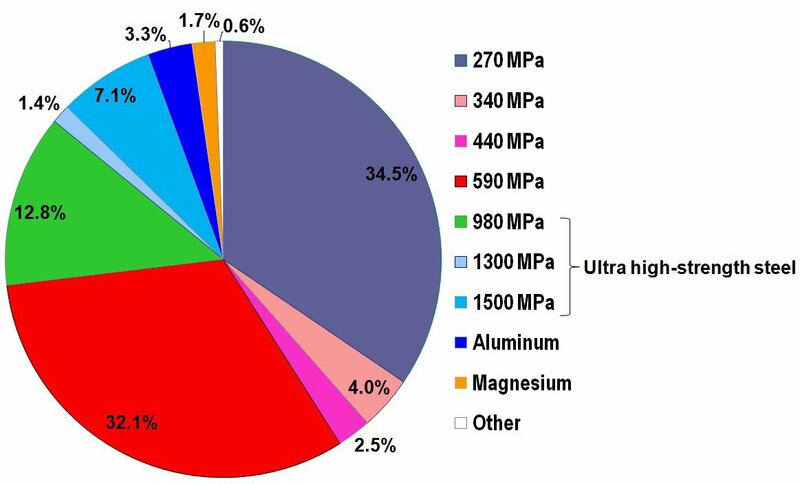 For comparison, there was only an average of about 13.8 percent steel above about 170 MPa in an entire vehicle in 2007, according to Ducker Worldwide data. The entire front door ring is made of 1,500 MPa steel, and the door reinforcement beams are 1,300 MPa, according to spokeswoman Angie Nucci. 980 MPa steel extends from it down the A-pillar and along the roof rails and sills. Oh, and by the way, the hood and bumper beam are aluminum and the instrument panel is magnesium. Do not repair this SUV the way you might have repaired past generations, and check with Honda about how to do it appropriately. Honda did throw repairers one bone: Nucci wrote in an email that panels and closures were kept mild steel for repairability. But as for the higher-strength steels — be prepared and make sure you know what you’re doing and have the right equipment. Most of that instruction also applies to the 590-980 MPa steel, too. The MIG welder must be pulsed, too. Other restrictions apply on how to MAG- and MIG-weld the 590-980 MPa steels. As for straightening: No heat. 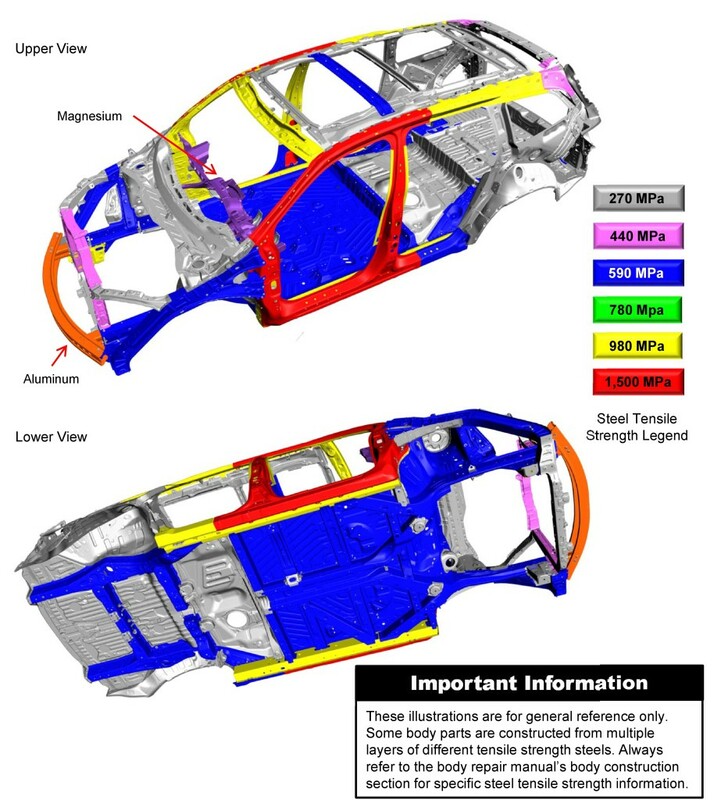 Correction: A diagram provided by Honda and headline in a prior version of this article gave an erroneous breakdown of the amount of mild steel in the 2016 Honda Pilot as well as misclassifying 340 MPa steel as mild.